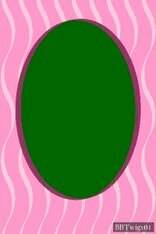 Print your own birth announcements with this pink template for 4x6 photo greeting cards. Templates can be used in many image editing programs. For a free image editor, visit gimp.org.